Once you start having a panic attack, it can be very difficult to calm yourself down. If you know when a panic attack is starting, you may be able to stop it before it gets out of control. 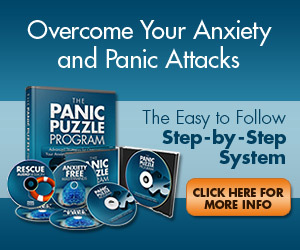 Find out how to deal with panic here. Are Panic Disorder and Suicide Linked? When panic disorder goes untreated, some people may fall into depression. This can lead to suicidal thoughts in some cases. But what is the risk of suicide for someone who has panic attacks without depression? Are More Soldiers Developing Anxiety and Panic? Increased awareness of PTSD is helping more people in the military to get assistance and support from their communities and loved ones. But there are still a number of other ailments that can affect the mental well-being of a person who has served. Read more here.